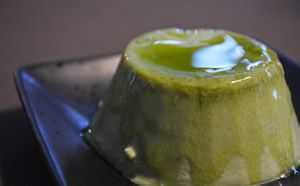 Matcha refers to a type of finely ground green tea and the drink made by whisking the powder in hot water. Matcha is used in a wide variety of foods and sweets including wagashi(Japanese confectionery), soba noodles, ice cream, cookies, and chocolate. In recent years, matcha has become increasingly popular and numerous food products that contain matcha can be found across Japan. Foods that are especially popular are, Matcha latte, matcha ice cream, Matcha Frappecino from Starbucks, and matcha parfait. 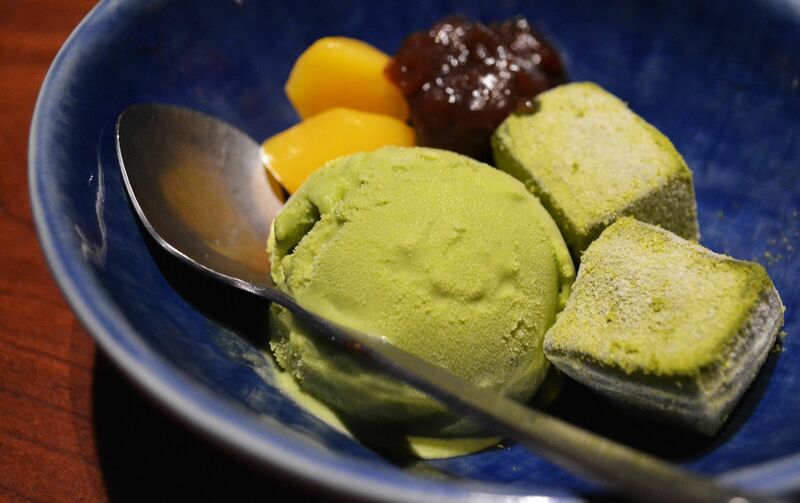 Matcha can also be seen mixed with salt to garnish tempura. The custom of drinking tea is thought to have developed in China during the Song Dynasty and Tang Dynasty. “The Classic of Tea” by Lu Yu from the 8th century describes in detail the drinking of powdered tea, although it is different from matcha in that it is fermented. In the Song Dynasty, a method of making a tea beverage by whisking the tea powder and hot water together in a bowl was developed. The custom of drinking powdered tea is thought to have been brought to Japan in 1191 by the Japanese monk, Eisai. Tea leaves for matcha are harvested once a year, and use the same young leaves used to make Gyokuro. Before each harvest, the tea bushes are covered by hay and grown in the shade for around 2 weeks. By growing the tea leaves in shade, the amount of tannin produced in the tea leaves is far less, whereas the amount of amino acids, especially L-Theanine, produced is far greater than those produced under full sunlight. Since tannin leads to an astringent flavor, less tannin makes the tea less astringent and milder in taste. After harvesting, the tea leaves are steamed and left to dry to make Tencha. This differs from Gyokuro, where the tea leaves are rolled after steaming. After drying, the Tencha is cut to sort out the leaves from the stem and ground in a stone mill to make matcha. This whole process must be done before November as the low temperatures of winter will cause the taste of the matcha to change.